Ard na Carraige, is a Ventry Holiday Home situated in Ventry near Dingle, Co. Kerry which is available for holiday rentals. 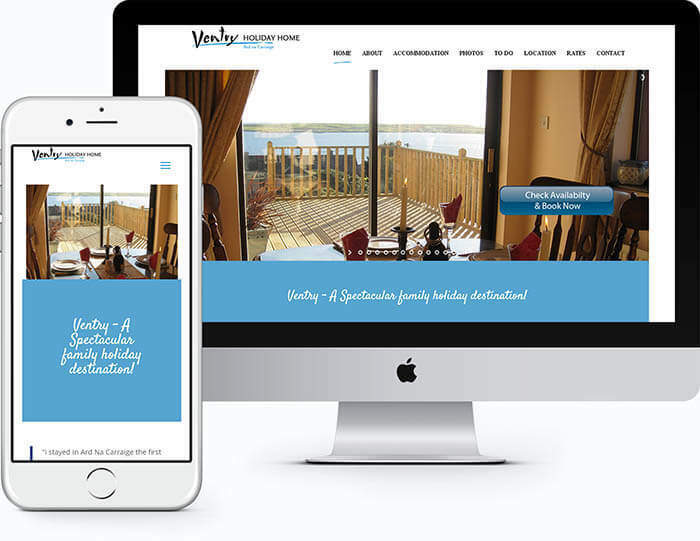 We created a mobile responsive and highly visual web design to illustrate the features of the property and the beauty of the surrounding area. Visitors using the website can check availability & book online.